I love buying gifts and receive so much joy out of choosing the perfect present for that special someone. But year after year, it can be really hard on the finances to buy for each individual — especially when your income doesn’t grow at the same rate as your list. My solution = Family Gifts. Buying for a family as opposed to each person person not only cuts down on the amount of gifts you need to purchase, it also means you don’t have to spend as much. For example: If you spend $20 per person for a family of 5, that’s $100. But if you buy a really nice family gift for only $50, you’ve cut your costs in half! 1. Gift baskets are great family gifts to give, because you can easily create one for any budget. Not sure what to put in your basket? ! 2. Another option is to buy just one gift the whole family can enjoy. Consider what sort of activities each family normally does together, then buy them a gift that complements their interests — board games, outdoor activities, DVD’s, etc. 3. Collaborating with others and go in on a bigger gift. Send your parents on a bed-and-breakfast adventure, buy a theme park pass for the whole family to enjoy, treat your grandparents to an expensive dinner reservation, or pitch in to buy a playground for the kids. Next time you’re out shopping for Christmas gifts, think about family gifts rather the individuals gifts. You’ll significantly cut costs, and make the season a lot simpler. I’d say that’s a win-win! 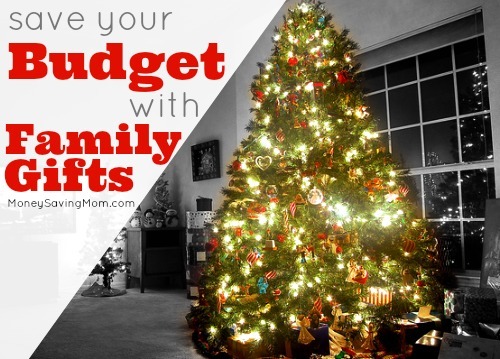 Looking for more frugal gift ideas? Check out Kalyn’s ! We’re avid garage sale people — we go nearly every Saturday. Some days we find absolutely nothing, while other days we hit the jackpot! 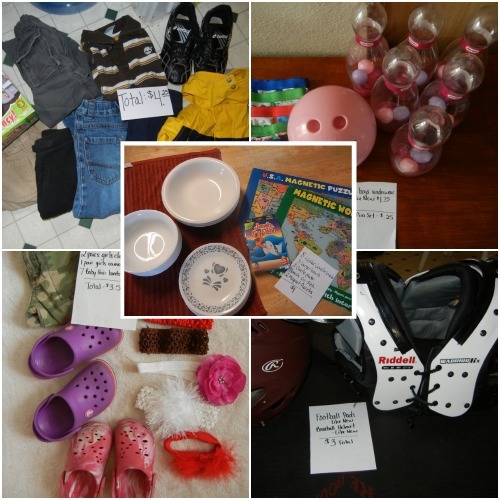 We have 5 children (who are still young enough that gifts don’t have to come in brand new packaging), so by garage-saling, we are able to stock up on Christmas and birthday gifts during peak garage sale months. This has saved our gift budget a LOT of money! As many of you know, lodging is often one of the most expensive parts of any vacation. However, thanks to , my husband and I have been able to enjoy very frugal getaways! 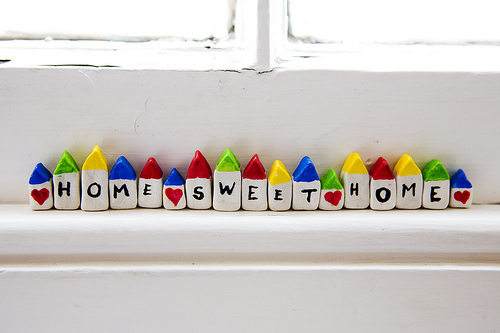 If you’ve never heard of House Sitters America, it’s basically a website that connects travelers with homeowners across the country looking for reliable and responsible house sitters and pet sitters. There is a $30 membership fee, but we recouped that cost after one free night of lodging. My husband and I just got back from a week of housesitting in North Carolina (we’re from Indiana). The homeowner enjoyed a week of vacation while we took care of her two sweet kitties and brought the mail and home deliveries inside the house. We cooked and ate our breakfast and dinner in our new “adopted home” and chose to eat our noon meal out while we were sightseeing. We did our laundry and tried to leave the house cleaner than we found it, including washing our sheets and putting them back on the bed. While it was a little additional work on our part, we figured it saved us at least $700 on lodging for the week! 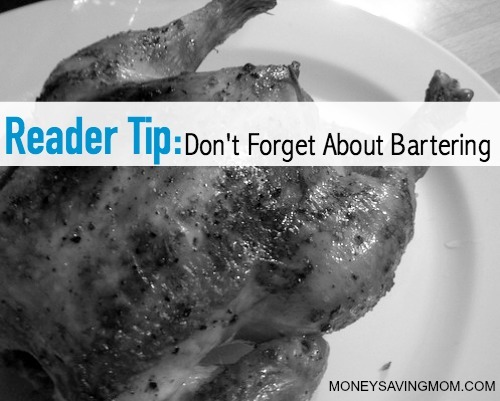 When Your Grocery Budget is Tight, Don’t Forget About Bartering! I just had an exciting frugal occurrence and I wanted to share! My husband and I are on a tight budget as we just started our own business. This week, we had an unexpected $200 expense (not work related) and that made our grocery budget extra tight. As I was looking over our pantry and fridge, I realized I had an abundance of coconut oil and coconut flour. I posted the extras to my local moms group on Facebook asking if anyone would be willing to trade some meat for either of those items. Today I met with another mom who traded me for a chicken, 3 packages of bacon, and 6 pounds of ground beef (all pastured-raised, grass-fed)! Apparently she had been planning to purchase a gallon of coconut oil anyway, so we both left feeling like we had helped each other and saved money at the same time! 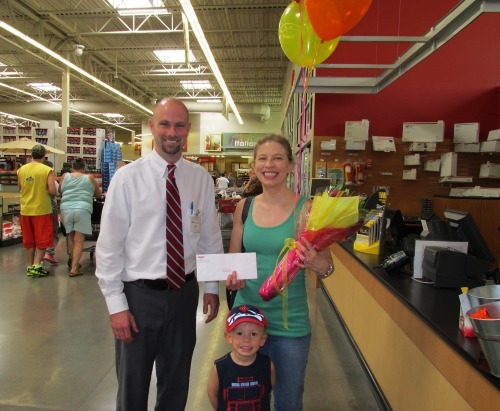 How I Won a $500 Hy-Vee Gift Card! I always take the surveys on receipts that offer an entry into a giveaway, no matter which store they are from — Walgreens, Dillons, Hy-Vee, Walmart, etc. I figured it would have to pay off someday, but didn’t actually think that I’d ever win anything. Lo and behold, I won a $500 Hy-Vee gift card! I received an email, then a call from the store, and I picked up the gift card last week. It’s legit! And Hy-Vee even threw in flowers and balloons! Have you ever won anything exciting by entering giveaways? As I awaited a large tax refund earlier this year, I knew that I wanted to use the money towards our mortgage pay-off! I started to think that there has to be some way that I can apply a large sum of money towards my mortgage and make my monthly payments smaller. I entered my thoughts as a Google search and learned about a service sometimes called mortgage recasting. • Most banks charge a fee (usually around $250-$500) for processing. • You will need a minimum of $5000 to recast your mortgage. • Your new payment will be based on your new loan amount and the remaining years left on your loan. I emailed my loan provider immediately after learning this information. I was elated to find out that our bank and our loan qualified for this service!! Unfortunately, during my search, I also learned that not all loan providers or certain loans qualify!